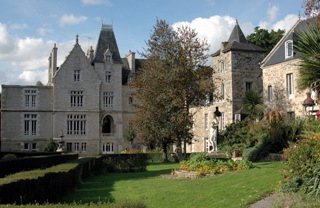 Chateau from the 15th and 16th centuries located on a wooded park of 11 ha, at 800 meters of the sea. Spacious and comfortable bedrooms. Gourmet restaurant in the living rooms of the chateau, rooms congress and seminars with a computerized amphitheatre of 110 places. Rooms of reception.